← Here’s How To Plan a Cheap Out Of Town Trip Under 3,000! Imagine the horror of finding out that your car isn’t on the same spot where you left it. 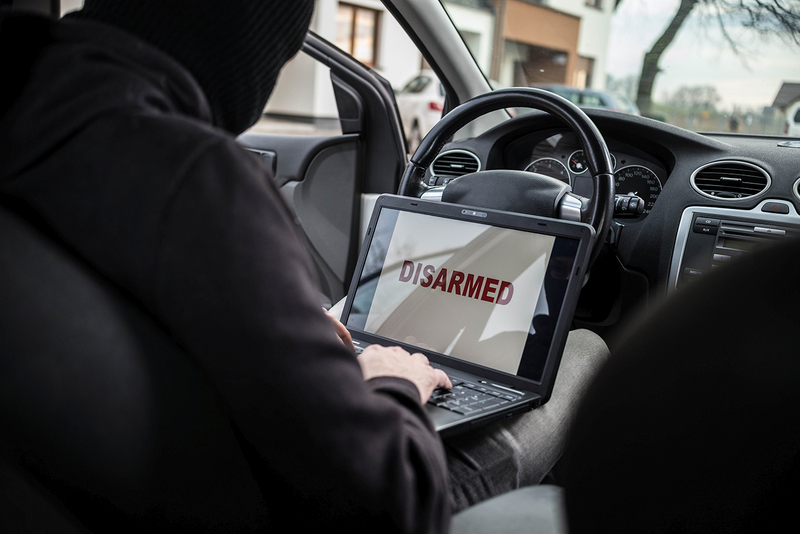 Regardless of advancements in vehicle security systems and an increase in affordability in auto dealership, there’s still an alarming amount of car theft incidents that not even as vintage as a ‘92 Civic could escape from. According to a 2011 report by the Philippine National Police (PNP) Patrol Group, eight out of 10 car thefts occur in Metro Manila, with Quezon City at the forefront covering fourth of all vehicle-related cases, the Inquirer reports. Even statistics show that basic anti-theft solutions such as locking your car doors or the absence of a key isn’t going to intimidate thieves right away. Sure, you can get yourself anti-theft devices like a car alarm or a ready-to-install security system for your garage. But what if you don’t have a garage? Or money? What better way to prevent car predators than by slowing down their thought process? The quick-release steering wheel system allows just that as it allows you to detach your steering wheel. Either you take it with you or hide it somewhere safe inside your car. It may seem gimmicky but this innovative solution has saved many lives from emergency situations. Installation is easy, effective, and it’s enough to make any thief think twice about breaking your car window. You cannot put all your trust in a car’s door locking system. Maybe you want to take further measures and use home materials to protect your car. Chains can be a big help but if you are still in doubt, you can add a little more to the mix by throwing in an ignition kill switch. Having such a device would literally stop any criminals dead in their tracks. Blinking LED lights that indicate active alarms is a good thief-repellent. These babies can detect if someone is trying to get into the car. Imagine the blaring siren of your alarm going off when a would-be thief tries to undo you car’s locks or break a window. The surprise brought by the scandalous sound would be more than enough to make them run for the hills. Additionally, these are relatively cheap compared to other available security measures. Nothing beats parking in the right place to avoid car theft. Only park in places with security or CCTV cameras. Also avoid parking on the streets, especially at night. There’s no telling how safe your car would be out there. It’s better to spend a little on parking fees than losing your car altogether. These things are just ways of preventing car theft. But if you want to really protect your assets, why not invest in car insurance with accident coverage and even third party liability insurance. There is a variety of plans and packages available to cater to all your protection needs. Visit www.mapfre.com.ph to learn more. This entry was posted in Bring it on PROTECTION, Road Smarts. Bookmark the permalink.